Kobushi Hana Marzen is a 6% marzen style beer from Hanyu Brewery, based in Saitama, Japan. It’s part of their all-year round lineup, a strange one considering this is a marzen style beer which are usually brewed for Oktoberfest time. Kobushi Hana Marzen poured out a dark copper red colour with a large amount of plump that was ever-so-slightly off-white with a reddish hue to it. Kobushi Hana Marzen is all about the sweet caramel aroma coming off it, but there was a slight boozy nose to it when it had warmed up. There wasn’t any off flavours to this beer, though I was warned there may have been some, I’m guessing as this was fresh then they hadn’t had the chance to develop or Kobushi Hana have tightened up their brewing processes. The body had an initial sweet caramel base to it, though there was as slight earthy twang to it once Kobushi Hana Marzen had warmed up. It was a one-dimensional beer – no bitterness or hoppy kick to it so hop heads will be well advised to stay away from this. It’s not a thirst-quenching beer by any means and would be more suited to a colder day than the 28c day this was drunk on. It fininshed off with a slightly fruity caramel aftertaste which faded fast. 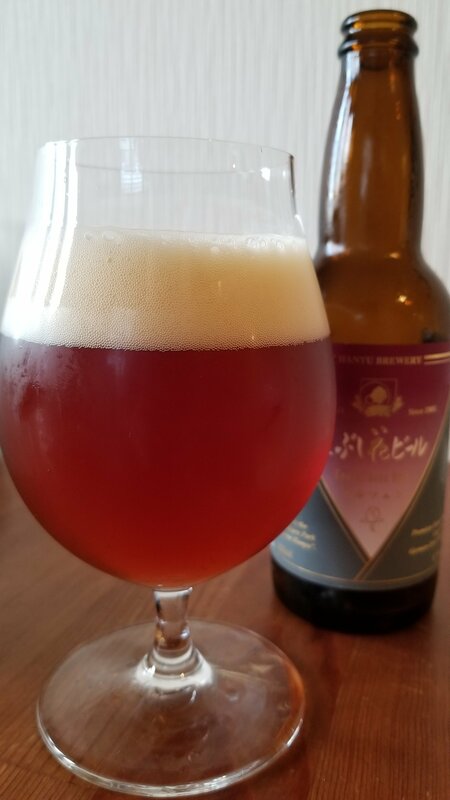 Kobushi Hana Marzen is an okay representation of a beer that is seldom well-done in Japan.